This year’s theme for younger and older children is "Pets!" Join us for five days of stories, crafts, games, and activities—all in English. Dates: Dates: March 25~29. 10:30am to 1:30pm (drop-off from 10:15. Early drop-off available for an extra fee). Ages: 3~6 years old (through first grade). 7~12 years old (through sixth grade). 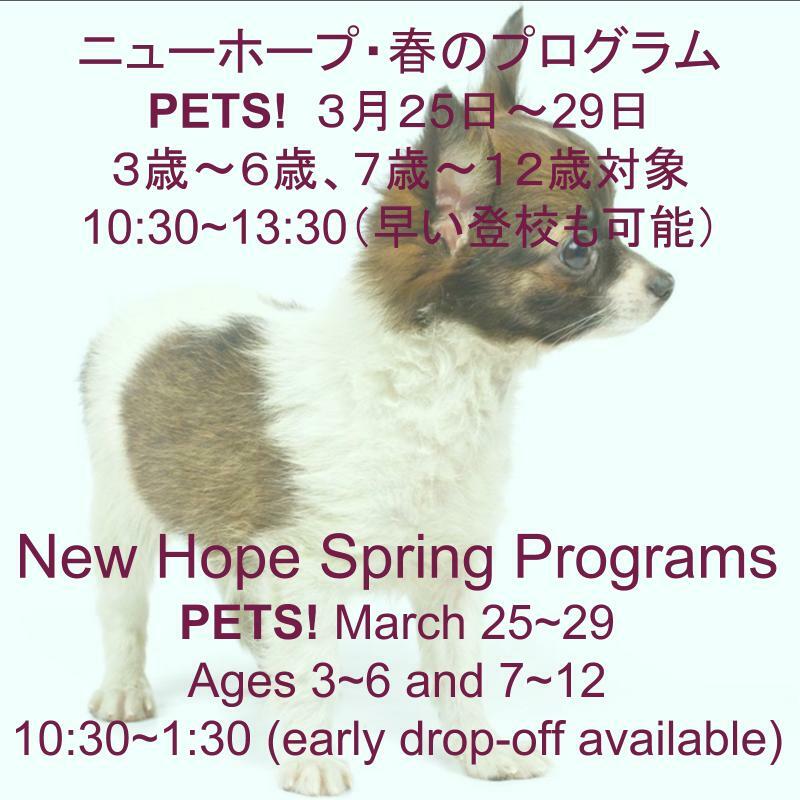 Fees: ¥16,000 for five-day program or ¥4,000 per day. 10% sibling discount. Pay in advance. No refunds after March 22. 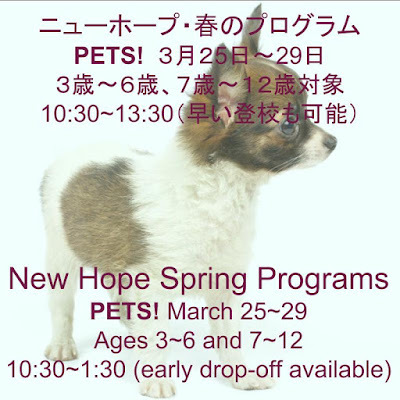 ¥800 per day for drop-off between 9:30 and 10:15. Consumption tax included. Bring your lunch, drink, towel, toothbrush, cup. Also indoor shoes and change of clothes for younger children, and pencil and notebook for older children.